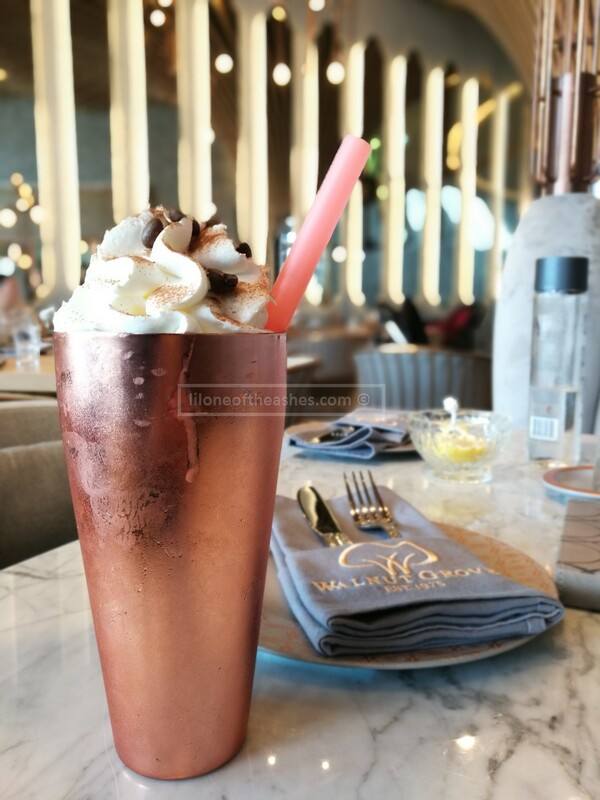 Walnut Grove is situated alongside the waterfall end of the Dubai Mall, boasting an outdoor terrace with views of the Burj and parts of the fountains. The interior is beautiful, much like its sister outlet at City Walk, with carefully detailed woodwork. Kids and large corner sofas go hand-in-hand so we chose one of those for our lunch visit (and quietly pray that they won’t make too much of a mess). a) They do have a kid’s menu. 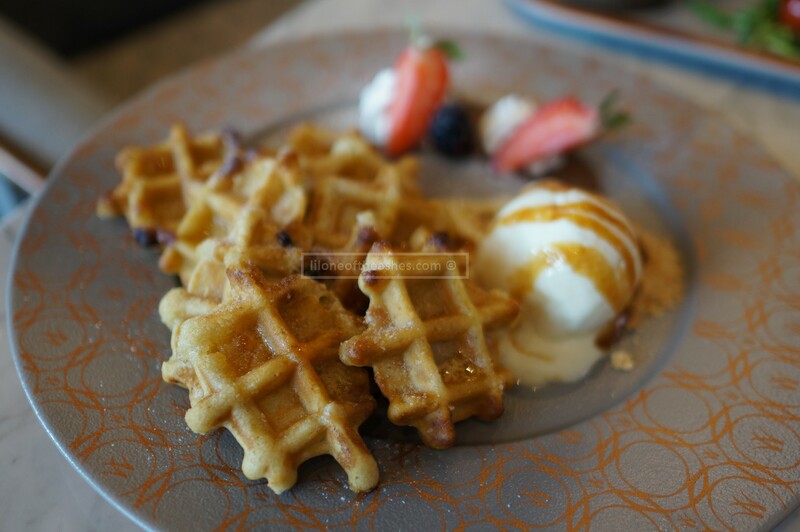 We ordered the mini waffles (59AED) , which the menu said was meant to be topped with white chocolate and nutella, but ours was just slightly sweetened with maple syrup (I think?) – which honestly I much preferred then being doused with chocolate! Both kids loved it, as did G and I. Slightly crispy, not too sweet. 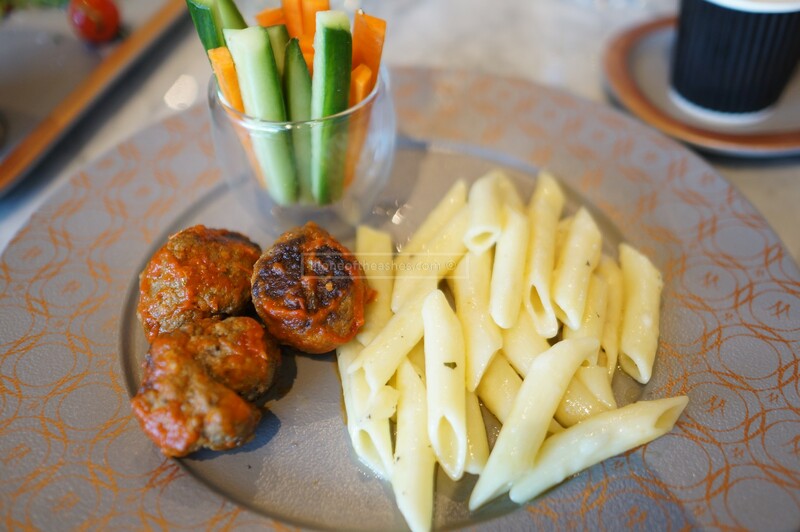 We also ordered their creamy chicken pasta (59AED), which is a standard in all restaurants, however Walnut Grove steps up and serves it with meatballs and a serving of healthy carrot/cucumber sticks. Again, it’s completely different to what their menu suggests – fettuccini is replaced with penne, tender chicken breast strips is replaced with meat balls. We are not so picky so we didn’t make any comments as our kids ate them all anyways, though I would suggest next time the team do advise the customers if the chef was going to change things around. 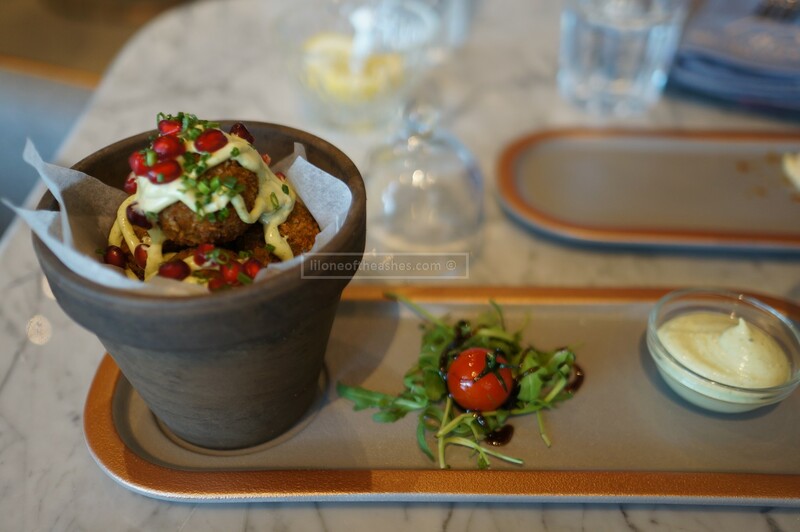 b) You have to order their Pistachio Falafels (54 AED). If you were just going there for a light bite, get this. Pistachio and herb falafels served with herbed basil mayo dipping sauce, crispy on the outside and so juicy within, I’m sure the little ones will love it too. 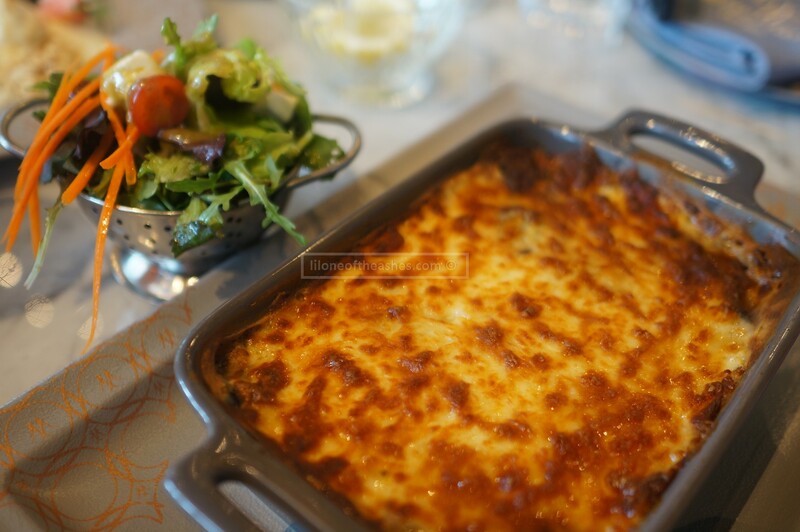 c) G’s Beef Moussaka, was ginormous and definitely the most reasonably priced dish that afternoon at 98AED. Beef mince, eggplant, topped with cheese, it’s literally lasagne, greek-style. 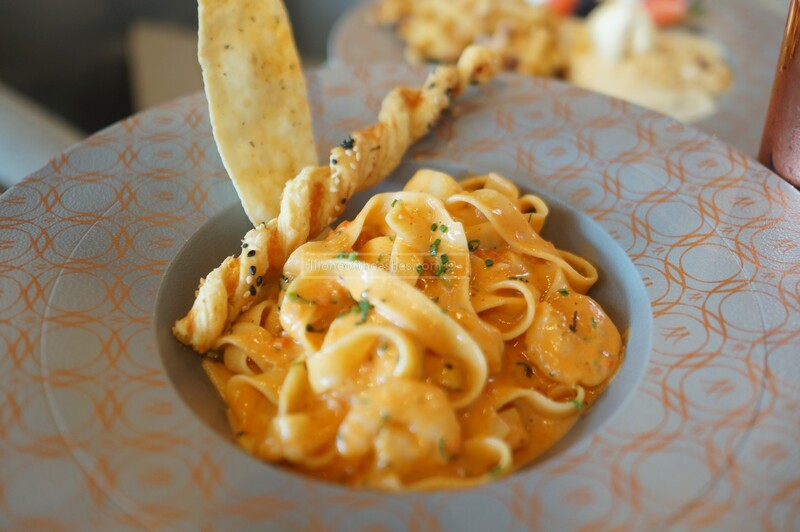 I loved my pasta scampi (98AED), I would definitely order it again. 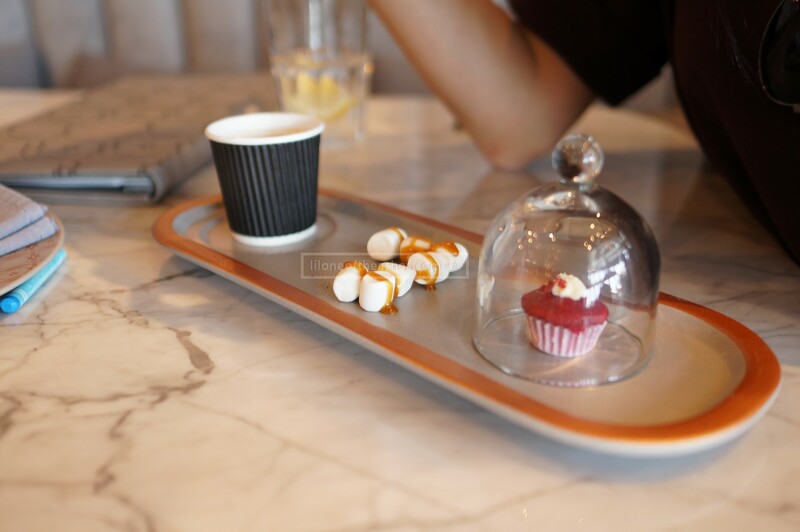 d) On drinks, they have an extensive list of milkshakes, mocktails, tea and coffee. The cucumber and litchi martini with a hint of ginger (39AED), and coffee mocha shake (49AED) was our companion for the afternoon. The shake was pretty heavy, but hey – it is what it is – ‘signature coffee prepared with rich chocolate gelato‘. e) For the toddler’s highlight, it was definitely the babycino which the menu clearly states as complimentary. Just look at the presentation – Walnut Grove sure knows how to steps it up when it comes to making sure every dish and drink comes out looking like a million bucks and insta-worthy. Things that could be better? a) As previously mentioned, suggest for team to inform customers if there would be any variation to what is mentioned in the menu. Especially if it’s from the kid’s menu because I can tell you for sure that kid’s are extremely picky. If they want penne, they expect penne. If they expect chicken, it should come as chicken. b) Price-range is mid to high. To be honest, for the ambience, location, view, the taste and presentation, it is pretty much on-point for the adult dishes. The prices for the kid’s dishes could definitely be adjusted by a little as most families would not be keen to pay 60AED for a kid’s pasta. Maybe a deal for the kid’s menu when paying full price for the adult dishes? As an overall, a really nice spot for lunch, and I can now see why it’s so popular in City Walk as the food is definitely good. They’ve never been in the Entertainer though I sure hope they will join at some point. Definitely a spot to bring guests as they tick all boxes. Order the pistachio falafel! Deals : Currently, none that we are aware of. Will update if things change! Disclaimer : We were guests of The Walnut Grove for lunch.Thoughts are our own, though it is entirely up to you to judge.